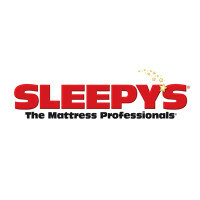 Sleepy’s is a chain of mattress and bedding stores making the claim that they are not only the professionals, but ‘The ONLY Mattress Professionals’ in America. To find out how to apply for Sleepy’s online, follow the link at the bottom of the page to submit a Sleepy’s application today. The company was founded by father and son team, Louis and Harry Acker, in 1931, originally under the name Bedding Discount Center. It was renamed Sleepy’s in 1957, and after that the company went through a long period of expansion. Now, the company has over 1,000 locations across 18 different states. The stores primarily sell different brands of mattresses, including Tempur-Pedic and Serta, but they also sell bedding, pillows, furniture and home décor products. They offer a number of ways to buy mattresses, either in-store, online, on the phone or via their live chat agents. You can also get advice on common sleep problems and mattress care. The company also offers a range of different services to make things more convenient for their valued customers. Sleepy’s offers financing options on many of its products so that payments are more manageable. For some brands you can also have an in-home trial with your new mattress and return it if it’s not right for you. The careers available in the store are mainly sales-based and preference will be given to applicants who have previous experience, especially in a showroom setting or on a commission basis, but they will also accept applications from candidates who display the right attitude and necessary skills. There are also vacancies for Showroom and District Managers. In the corporate part of the industry there are many more varieties of careers. You can find openings in the departments of Accounting, Administration, Advertising, Merchandising, Construction, HR, Information Technology, Legal, Logistics, Recruitment, Store Planning and Operations. For most positions you will need a college degree in a related field. How old do you have to be to work at Sleepy’s? You must be at least 18 years old or over to be eligible for Sleepy’s jobs. The stores open at 10am Monday to Saturday and close at 9pm. On Sundays they are open from 12pm until 6pm. There are a great many benefits to Sleepy’s careers. Working full-time you’ll be entitled to healthcare benefits including medical, dental and vision insurance and various health and wellness programs to keep you fit and healthy. You can also find company matched 401(k) retirement plans along with many other incentives and a number of discount programs. Sales Professional – As a Sales Professional you will have a number of responsibilities but you will always be focused on customer service. You will need to be knowledgeable about the products and ranges available in the stores. There will be other daily tasks including maintaining the store’s appearance and creating displays. The salary is commission based and will be around $30k/year. Stock Associate – This is a fairly physical job and you must be able to lift over 100lbs on a regular basis. The primary duties will involve unloading the delivery vans and moving the products to the stores and helping to put the stock in the right place. You will need to carry out basic quality checks on the products. The average pay is around $8/hour. Showroom Manager – As the Showroom Manager you will have ultimate responsibility over the performance of the store. Your duties will include hiring and training new members of staff as well as ensuring that they meet their sales performance targets. You will work with the District Manager to make sure that the store meets all necessary requirements. The average salary is $51k/year. Internships – There are many different job opportunities for paid internships in the corporate offices. The types of positions available are in the departments of Creative Advertising, Digital Marketing, Real Estate and Store Planning & Design amongst others. You will receive excellent training to help you further your career development. Internships are paid at $12/hour. After you’ve submitted your Sleepy’s application, you should prepare yourself for the interview by practicing questions like these. Why do you want to work here? Don’t just give a generic answer about why you want a job, they want to know why you want to work there specifically. What do you know about the company? You should always do some research about any company that you interview for, and always talk about the positive aspects of the company that made you want to apply for jobs at Sleepy’s. What makes you better than the other candidates? Don’t be afraid to talk yourself up to the interviewer but you should always talk about the skills and attributes you have that are relevant to the job description. How well do you work independently? This is a very important trait to have in Sleepy’s jobs. The best way to show that you are able to work independently is to give an example from your previous employment experience when you did this successfully. How would you handle a difficult or angry customer? Being able to deliver great customer service and salesmanship while under pressure is a very desirable skill, and as before, a good way to make your point is to give examples from your previous jobs. For all positions you can apply online by searching for Sleepy’s jobs online or using the link below to find the careers section of their website and browse the opportunities. Once you’ve selected the role you want to apply for you can fill in the online application form and upload your resume. For store-based opportunities you can enquire with a manager about current openings at your local store and request a free application form to fill in. You can’t download a printable application for Sleepy’s. If you don’t want to make a direct application for a position you can also join their Talent Network and submit a Sleepy’s job application online at a later date. The interview process can take up to a few weeks to complete and will most likely consist of a brief initial phone interview followed afterwards by a face to face interview with the Showroom Manager or District Manager. The interview questions are often very standard for similar types of positions. When you get to your interview make sure you are dressed smartly and well presented. It’s always a good idea to bring an extra copy of your resume with you, even if you’ve already submitted one. Always greet your interviewer with a warm smile and a firm handshake and remember to keep up a positive attitude all the way through. Scheels: Checkout the application page for work at Scheels. Modell’s: See our guide for careers at Modell’s. Edwin Watts Golf: See our resource page for more information on Edwin Watts Golf careers. City Sports: City Sports offers opportunities for both, beginners and experienced roles. Piercing Pagoda: See our resource page for more information on Piercing Pagoda careers.